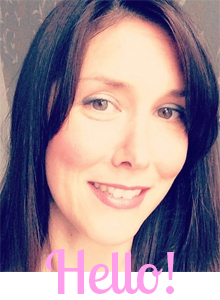 So I've got through to the last 5 finalists for Best Pregnancy Blog in the MAD Blog awards. I'm really happy about this as my blog is so young - I only started it in November - but it has followed me on my 2nd pregnancy journey and has given me so much pleasure. I've done things I never thought I would do - like standing in a maternity bra at The Baby Show for Bras4mums, I've taken Isla on some fun excursions and I've also made some great mummy contacts as a result! Well done. It is well deserved - love your bump watch. RE: sponsor it all came about since blogcamp. I'm looking forward to experiencing being a mummy to a boy - I'm sure it's going to be very different! Congratulations - its fantastic that you have been recognised for having a fabulous blog! A young blog, but awesome all the same! You'll get my vote - good luck for the final!